If you're planning to get one don't wait - the offer expires May 20th 2009. The very popular, multi-platform XBMC HTPC application released their first beta of XBMC Babylon (9.04) with a bunch of new features and bug fixes packed in. This version update is available for Windows, Linux, AppleTV and that old standby the Xbox (old Xbox). Added support to recognize BluRay disks in the video browser & other places. Also added themed generic BluRay icon. All on the default STV. Added persistent option "Play slideshow in random order" to the photo browser's dialog shown when starting a slideshow. There's also new beta firmware updates available for the HD Theater (HD200) and the HD Extender (HD100) that I mentioned earlier this week. Today Amazon had their Kindle event and announced their new, bigger, more expensive Kindle. The focus for this one is definitely on the newspaper, periodical and textbook consumer. More details below. The new Kindle is named the Kindle DX. I sure would like a name like "Kindle Extra!" or something a little more catchy, but oh well. The Kindle DX sports a 9.7-inch display which is two and a half times the size of Kindle 2. This will definitely help for those reading newspapers or magazines on the device, but I fear it puts it a bit too large for the avid reader that the Kindle 1 and Kindle 2 appeals to. Not quite as easy to hold in a single hand for extended periods of time. The Kindle DX keyboard looks more compact and that certainly makes sense to me. iPhone users will be familiar with this one. As you turn the Kindle DX it automatically switches between portrait and landscape. A nice feature that again tends to lend itself to the newspaper, magazine or textbook readers. This is a great new feature - something I really wish the current Kindles could handle better. The new Kindle DX has native PDF support although I wonder how fast that screen refresh will be for PDFs when you have that big of a screen to deal with. Price - It's Not Just Bigger, its Even MORE Expensive! I sort of suspected the price of the new Kindle would be about the same as the Kindle 2 unless they threw in a color screen or something really new. Amazingly the price is even higher than the Kindle 2. Kindle DX is $489 while the Kindle 2 remains at $359. I'm sorry, but they will not sell many of these at a price of $489 - it's just too expensive. Watch for a fire sale of these devices with a much reduced price come Christmas when they still haven't sold out of their first inventory. If you definitely will be reading your favorite newspaper on the Kindle DX, several of the newspapers will be offering reduced prices for long-term commitments. This makes sense, but so far I haven't seen pricing on that yet - and my local paper, the Kansas City Star still isn't on the list of Kindle Newspapers. Amazon announced agreements with three major textbook publishers (I didn't see names yet) who will supply their textbooks (not sure how many or which ones) on the Kindle platform. The following Universities announced agreements with Amazon: Arizona State University, Case Western Reserve University Princeton, Reed College and University of Virginia Darden School of Business. Price is prohibitive for most people. The higher price of the DX will push most who are interested to the Kindle 2. That's my early take. I see the Kindle 2 selling much better than this new Kindle DX. Its definitely a step in the right direction in some ways, but I'm watching for some steep competition coming Amazon's way soon. I'm shocked that we don't see a subscription model to reduce the price. I imagine that has more to do with the difficulty in getting the publishers on board than anything else. If you want one, you can preorder the Kindle DX for $489 now on Amazon. Pay attention to tomorrows event and we’ll see if I’m on the money for the name, Kindle Extra! It’s way better than the rumored “Kindle DX” name. Will it be in color? 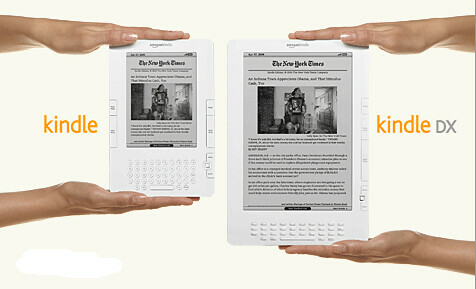 This would undoubtedly help in the adoption rate of the Kindle for newspaper and periodical readers. Illustrations must be well implemented and color is a part of that let alone everyone's beloved cartoons you find in both newspapers and magazines. How much bigger will the screen be? Navigation of a newspaper is inherently different than it is with a book. A somewhat larger screen will assist in the adoption of a eBook readers use for newspapers and magazines. Will it be cheaper than the current Kindle? By far, the biggest stumbler to Kindle adoption is the current steep cost of the Kindle 2. Bring it down to the $150 range and you’ll see it “kindle” a firestorm (pardon the pun) of adoption. Will they announce new newspaper and periodical support for the Kindle with this new version? I currently can’t get my Kansas City Star (a McClatchy company) on the Kindle. While the NYTimes is nice and the Wall Street Journal is essential, I really need to have my local newspaper the Kansas City Star arrive on the Kindle to make it a true, newspaper reader. Rumors of cheaper subscriptions exclusive to this device abound. How many textbook publishers will support the Kindle? If you want a school or student to foot the cost of a Kindle for textbooks, it really will need to support most or all textbooks. I can’t see purchasing one for half or fewer of a students textbooks – it has to be more than that. 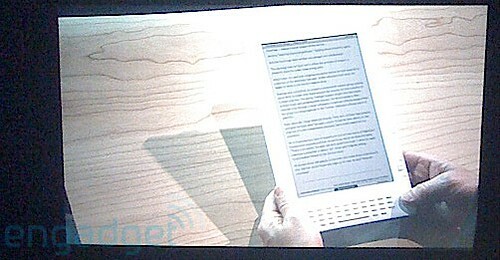 Will the new Kindle include a PDF reader? I’m going to guess it will. Is Amazon serious about making money from the Kindle, the content or both? Amazon’s time to fend of the oncoming tidal wave of new, competing eBook readers is coming very and soon. They have to be on their game and evolve extremely quickly or they’ll quickly become a dinosaur despite their current success in the small, but expanding eBook reader world. It’s only been a week since the last one, but SageTV developers don’t let that keep them from another HD Theater update. This one includes a few fixes and support in Media Player mode to recognize BluRay disks in the video browser and other places. 2. Improve performance of streaming from network shares when using a windows server. 1. Disabled editing NTE number assignments because there is no keyboard, which is needed to enter the letters & symbols for each number. 2. Remember last workgroup entered in network file browser & restore the last workgroup path when returning to the parent of the server currently being browsed. 3. Added support to recognize BluRay disks in the video browser & other places. Also added generic BluRay icon. 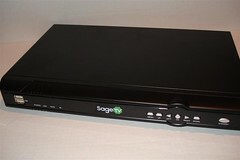 When using the STP-HD200 as a SageTV media extender, it is recommended that SageTV server beta v6.5.14 or newer be used. And for those still using the slightly older SageTV HD100 Extenders there is a beta firmware update for them as well. If you still want to check out Windows 7 RC, it's now available to the general public for download. Microsoft made it available via MSDN and a few other sites to members last week, but now everyone can get their hands on it. Now for the catch. This isn't surprising to me, Microsoft has put in a bit of a "timer" in these versions so you're encouraged to purchase the real thing eventually. To avoid interruption, it’s recommended that you and your customers rebuild test machines by using a valid Windows operating system before Windows 7 Beta and Windows 7 RC expire. Windows will automatically notify you that the expiration process is about to begin. Two weeks later, your PC will shut down every two hours. For Windows 7 Beta, the bihourly shutdowns will begin July 1, 2009. The software will expire August 1, 2009. For Windows 7 RC, the bihourly shutdowns will begin March 1, 2010. The software will expire June 1, 2010. I don't really see this as a problem - if you like Windows 7 enough to still be using it by those dates, you probably should purchase it by then anyway right? Just be sure you remember to save all of that stuff you have on the PC with the beta (or unofficial) Windows 7 installed before the deadlines. I reported this last week, but many might have missed the importance of the update. 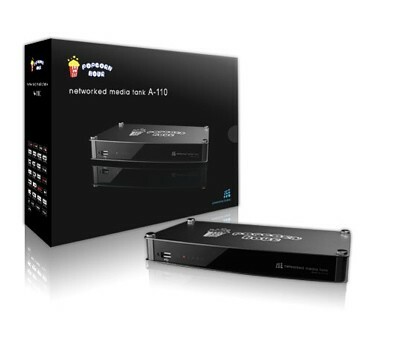 SageTV last week released a firmware update for the older HD extender HD100. The HD100 is no longer sold, but there are many boxes out there. This latest update includes some features that many SageTV HD200 owners have been enjoying, but HD100 owners couldn't get. It's nice to see SageTV continue to support and update their older hardware even while they are selling a new, improved model. We've seen many HTPC themes for the various HTPC programs out there, but you don't see them for Snapstream's BeyondTV very often. Last week a new one was released that looks pretty interesting called BTV Reactor. 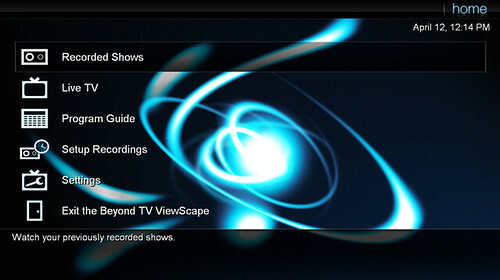 BTV Reactor replaces the original BTV skin and icon elements and leaves you with a unique look for BeyondTV.